Work for Video Converter Ultimate? "A good tool for converting videos." This video converter has all the necessary features to create a greater compatibility between the many video formats that are still, today, something that still persists with the technological advance, is the different video formats found, and not all players have the features to play them, either by the format, or by the different rights of protection with some videos, and can only be played on certain platforms and video devices, with this tool you can release those technological locks, and see our videos in the place we want, with a couple of clicks, the formats with which this application has to make a conversion are quite large, MP $, MOV, MXF, AVI, among other formats, and resolutions, which is another feature that I love, not only to convert the videos to the format you want, but to change the resolution so that you can adapt better to the device where you want to see. Sometimes when you are doing the conversion of some video, which has many special effects, the application may become a bit slow, and the conversion of these videos, takes too much due to the lack of use of the hardware of this application, in An approximation update should look for the way to exploit to the maximum the resources of the hardware where it is executed to diminish the converting times. an ideal tool, to make all kinds of video conversions, to the desired video formats, conversion and use of the program are very easy, anyone can do it. With this tool we can deliver our video editing works, to our clients, in different formats, which will give them a better facility to play their videos on any device, for us it is a way to provide a better service to the client, the clients they leave happy with our work, and we only spend a little more time, since the investment for this application is minimal, since their prices are very accessible, for any person or company. Definitely WonderShare became for a long time the editor of videos that more reliability has given me. I use it daily to modify, edit and upload the different videos that are generated daily. It does not require great preparation to know how to use it, its ease and design means that anyone can and knows how to use it in a short time. WonderShare almost makes all the work for me, its icons and functions allow me to be up to date with the highest quality standards. One of the things I like most about this editor is the amount of effects and functions that it brings, making the final work more dynamic and original. Sometimes when opening other applications the computer tends to get slow or simply sticks the application, forcing me to close it forzadamente and have to start again with the work. WonderShare is one of the best video editors, I recommend it to all those who want to do this work, either from home or office. You do not need a lot of time to use it, since its interface is one of the easiest and most explicit in the market. Encourage yourself to try this wonderful software. I solve daily the task of uploading the videos that are generated daily from a television medium for which I work from my home. Their benefits are incredible because they allow me to do the job of video editing in a short time. "Wondershare a tool that helps me boost my work"
Wondershare helps me with my work day by day, it is a tool able to help me edit, correct, cut and colcoar effects to the videos to later upload them to any digital platform. I work for a media, and every day I upload the videos of the programs on social networks and youtube, it is a very fast and simple converter. Its applications are very easy to understand, it does not take much experience to create great videos. I like it a lot because the final quality of the video is incredible, in addition to a number of formats to export. Wondershare is the program that I liked most of several video editors, although many times it tends to be slow. In other opportunities, I can not open other tabs or minimize it, since it stops all the work I have done. Definitely worth acquiring Wondershare, it is very fast when using it, its variety of functions is wonderful, and what I like most is its ease, and it does not require great knowledge to use it. I define this program as simple, practical and fast. I recommend it 100%. Every day I must upload the programs that are broadcast live on the television channel where I work, and WonderShare helps me to do it quickly at the time of each transmission. It is very beneficial because its speed allows me to fulfill the tasks required daily, I already have the initial covers predetermined and I just have to place the video, cut it and convert it to publish it on the web. "For the production of your videos use Wondershare Video Converter"
Wondershare Video Converter Ultimate (VCU) allows the conversion of videos to virtually all available formats, whether audio or video, quickly and simply. It also allows you to transfer the files directly to them from your computer to the multimedia center at home, with a single click. Wondershare Video Converter Ultimate has other features, such as downloading videos from YouTube to MP4 or MP3, recording videos on physical media or transformed into ISO, or even adding subtitles and details in your video file. It is disgusting to see, in the trial version, the watermark in giant size, which can not be removed from the video. In addition, it is difficult to verify the effectiveness of the application in the trial version, since the videos that are generated are very short. With Wondershare Video Converter Ultimate You can convert any video file you have on your computer to the format you can think of. Wondershare Video Converter Ultimate offers the possibility of converting the file for a specific device: it can be for iPad, PSP and dozens of other devices. From the window of Wondershare Video Converter Ultimate you can do what you want with the videos: change the format, quality and resolution, cut a piece of the video, burn a CD / DVD and even copy it to any device that you have connected via USB. And if this were not enough, Wondershare Video Converter Ultimate also works as an online video downloader. You just have to enter the URL of the video to download and Wondershare Video Converter Ultimate will incorporate it into your library. From there, the options are the same as with any other video. Effective tool to enhance telemarketing, since the videos can be designed for a professional finish that manages to convey emotions with humor, entertainment, controversy or simply impact, which is valuable as they mark the memory of users with the brand of the business. It has made the production of videos accessible to all pockets since with a simple camera and a little ingenuity it is possible to create a video that captures the attention of potential customers and users. Thanks a lot for your patient reviews, it is indeed very useful, what you said is almost right.
" Great program to record, edit and download videos easily and quickly"
"Wondershare has cut the video formatting process in half for my company." I like that I am able to splice the video to the time frame that is needed for my company's videos. I also like that I am able to rename them inside the software and it takes me directly to where the are outputted. I dislike that I have to delete the videos out of the files needing to be worked on before I can do more. Sometimes I forget, and the same video gets re-run multiple times. This product is great for people who aren't necessarily used to formatting videos for a living. It's easy to learn and very quick to finish multiple videos. We used to have to send all of our videos to Art for formatting, and now we can do about 75% of these videos ourselves. "Wondershare helps me daily with my work"
Working with Wondershare has been wonderful, I work in a television channel and the videos must be uploaded to the different platforms and social networks instantly. This program allows us to place initial covers, cut the fragments that we do not neves, their transitions are incredible. What I like the most is its speed when converting videos. I can download and record videos from youtube, its additional functions such as adding subtitles, buttons, among others. Wondershare is used by all the editors of my company. I do not have much criticism for WonderShare, many times while the video is being converted, I can not open a tab of something else while it is loading, the program tends to slow down or stop responding, having to forcefully close the application and make it lose everything the job. Definitely I recommend Wondershare to all people and companies to acquire it, easy to edit, create, record, process custom videos, as well as it is incredible to convert them to any format you require. What I like most is that its interface is very dynamic and simple, anyone can use it in a short time. WonderShare solves many problems at work, I have to edit several videos every day and then upload it to the website or YouTube of the television channel for which work. Its benefits are multiple, it gives me the possibility of placing templates, effects and personalized covers to the final video. Many times I have to record the videos in other formats to burn them on a disc. "is not bad, maybe Encoder is a little up"
is easy to use, with a lot of codec options. In terms of speed, it does his work perfectly, compare to another software, is ok. This program not only converts your videos into different formats, but it also has a wide variety of customization and export tools not found in many of the products on our lineup. i prefer the ProRes codecs, and maybe have the option to trim, cut or resize the final video. While the software application is very easy to use, it may take awhile to fully understand all of its features and use them to their highest potential. If you need to convert files to windows user (avi o wmv) this is the best soft. the soft stands head and shoulders above the rest of the video converters in our review. Its fast conversion time, high-quality output and extra features make it the perfect choice for video converter software. "Wondershare Video Converter Ultimate Review"
Wondershare Video Converter Ultimate is my go to product for all things video related. I love the fact that I can have the ability to just copy a Youtube URL into the product and be able to download the video in it's native format. And once I have done that, I can modify it to play on any screen or device that our company has. the exporting feature is really seamless and the ability to create a self playing USB is definitely a plus. I can't really think of anything that I dislike about the Wondershare Video Converter Ultimate product. for all the tools that I have used in this product they all work flawlessly. Maybe if I had to choose one thing, it would have to be dowloading item within the Wondershare store, seems to take a little bit longer that I think to download and implement them. My recommendation to someone who is considering a video editing product, I would ask that they take a look at the whole Wondershare family of products. they have years of experience in the Video editing world. the business problem that we solved was that we were able to download training videos from Youtube and host them on our own servers so that our users aren't constantly "streaming" from the internet all day. This allows us to easily convert various forms of video back and forth. It's simple, has presets and to date has created proper outputs 99% of the time for us. We have some some (although very few) unsupported codecs. This could be partly due to the source files being corrupt but we are not able to tell. this will consume CPU as well but that is probably to be expected with this type of software. Great tool for converting. I'm sure this gets used extensively for "home" use but it can also be useful for tweaking media that will be used in marketing and promotions if you do not have 100% control over the sources. We frequently receive different types of video form customers and the ability to change the formats help our marketing team put out solid youtube media. "The software has allowed me to build quite a library of quality videos from movies I have rented." It is so easy to use. Slide the disk in and the movie loads onto my iTunes. Nothing really!!! I'm a big fan of this software. Great product, easy to use, never fails. Price is very reasonable and the company updates the product often but not so often it's bothersome. In fact, many updates say bug fix and I never experienced the buug or problem. Helps me to take video from the internet and utilize in training presentations. 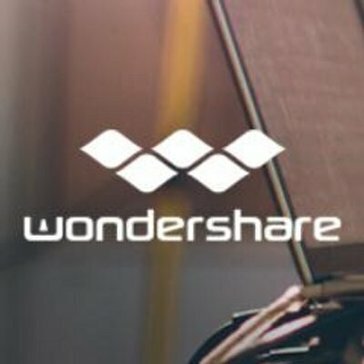 Thanks for your great support to Wondershare. "Solid video converter and downloader"
What I like best about Video Converter Ultimate is that it can convert video files, download videos from websites, and even convert DVDs to playable video files. What I dislike the most about Video Converter Ultimate is that when they publish updates they are often buggy and every so often I have to re-install the program after updating it. Video Converter Ultimate is a pretty good all around video conversion program and compared to other apps in this category it is at the upper end of usability. The business problems I am solving with video converter includes all three functions of being able to convert video files, download web videos and convert DVD video to playable files. "Video Ultimate Converter, Nice and easy tool"
When to need some piece of video for a project you wish it is in the format you need it, unfortunately it is not always like that, in that case you need to convertr it to waht you need, Video Converter Ultimate will come to the rescue, it will change almost any format to what you need quick and easily. It is low consuming time when changing formats, with no loss at all of quality. For what I need, I have not found any negative issues. If you are lloking to change video formats with almos no time consumming, this is your tool. I don´t waste my tiem waiting for a video to be converted, it is a saving time tool. "Wondershare Video Converter Ultimate just makes converting EASY"
Wondershare Video Converter Ultimate has been my go-to converter software program for years now. Where other's may struggle with certain file formats or codecs, this program just seems to always get it right, and always work. This is definitely one tool you'll want to keep in your toolbox. There's very little that I dislike about Wondershare Video Converter Ultimate. This program has always been rock solid for me, each time I've used it. My recommendation would be to just give it a try and see what you think. I use Wondershare Video Converter Ultimate to convert home videos to MP4 formats for my Roku TV. "The only video converter I need." It is so easy to convert any type of video to the format you need. They make it very simple with their strait forward and clean interface. In no time at all I can export the file type I need. Its super fast to render and saves me a ton of time. Best video converter I have ever used hands down. The only thing I can think of that I dislike is that I wish there were a way to import or create my own personal DVD menu. I use this software, not only to easily and quickly convert my video into different formats, but it is also very handy in burning DVDs. Saves a lot of time. Its reliable and has never given me issues. "Easy to use for the uninitiated, but customizable for the experienced." Once it's set up, the program remembers your settings so the next time you use it it's ready to go. It has a lot of customization if you know how to use it, but otherwise has options to make it easy. Not good documentation about how to fix aspect ratio issues. Some free programs can do the same job as this program, but Video Converter Ultimate has a smooth interface, easy use, and a lot of customization options if you know how to use them. Public outreach videos, converting videos to various formats for compatibility with mobile or web interfaces. Thanks a lot for your detailed reviews and our company will be dedicated to making our product better. As far as your problem, for fixing aspect ratio issues, we have written guide about this part, but I think it is clear enough to say how to fix aspect ratio, instead, we say crop video, please visit this link for reference: https://videoconverter.wondershare.com/guide/crop_video.html. And if you have any technical issues, welcome to contact our support team via http://support.wondershare.com/ as well, you'll get replied within 24 hours. "A robust video converter and editor program for most needs"
Video Converter Ultimate is really designed to excel at converting video files into other video formats. It does this fairly well and works with a large number of file formats. The program converts files fairly quickly which is a huge plus, especially on slower machines. It lacks many additional features such as an editor which can be good for speed purposes. The downside of the program is the lack of an editor. Its fairly limited in its uses beyond converting video files into other formats. Occasionally the program may crash with an intensive session or with a complex file. Its also more expensive than other video file converters on the market, especially the free ones available. Would be buyers should ideally compare the program with other video converters on the market. There are better alternatives available and some are even free. The program works well in converting multiple sets of video files or dealing with a large library of videos that need to be converted to a different format. Unfortunately it needs to be used along with a video editor program if any extra features are needed. "It works well, until it doesn't"
When it works, it works beautifully. Easy to use, free, and functional. Converts files to WMV beautifully. Like every video converter I've worked with, it eventually corrupts a file, making it impossible to save in Windows Movie Maker. Thanks for your reviews. As far as the mentioned problem, we have received the feedback before and have fixed it to the latest version. But if you still have the same problem on the latest version, could you please contact our support center via support.wondershare.com for help? If you could provide the original file, it would help us a lot, thanks in advance. "Excellent software to convert videos to different formats." Excellent software to convert videos to different formats, easy to use and fairly complete for small video editing, trim, join and other video editing tools. It is extremely easy to use and can convert files into any format you need. It isn't very intuitive when being compared to other video software. It took a while to learn the layout. Give is a shot. They offers free trial and after 30 days you will absolutely want to download it. We have camera that films in .xml and the converter allows us to background convert while still running video editing software. I really don’t have any complaints about the software. I’m happy with your product! We record in one format, but deliver another format to customers. Learning about Video Converter Ultimate? * We monitor all Video Converter Ultimate reviews to prevent fraudulent reviews and keep review quality high. We do not post reviews by company employees or direct competitors. Validated reviews require the user to submit a screenshot of the product containing their user ID, in order to verify a user is an actual user of the product. Hi there! Are you looking to implement a solution like Video Converter?